"The Limited Edition Serpentine 2016 is a special cigar. I have to admit I was very concerned about reviewing this cigar. In my forty plus years of cigar smoking, very small cigar producers try very hard to create a great cigar but, due to resources, limited experience, lack of control over the production, or a combination of any or all of these factors tend to fall short. 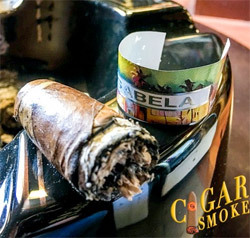 Isabela Cigar Company has exceeded my expectations in a big way. Get one, no, get a box before they are gone."